Born and raised in New Plymouth, Idaho. Art returned after the end of WWII to Fruitland with the money his wife had saved while he was in Europe. He opened a service station where he repaired cars and sold gas growing his investment into Campo Oil Company. Originally from Tillamook, Oregon Norm joined on as a Shell Jobber after serving with the Air Force. 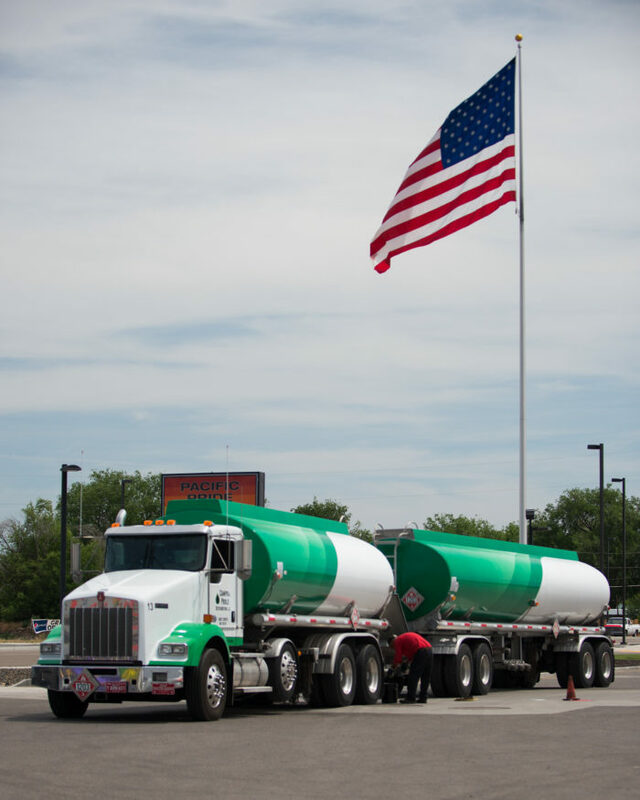 In 1961 Norm purchased three tank wagon delivery trucks and began distributing as Norm Poole Oil. As the eldest son of Norm Poole he followed in his fathers footsteps working in the fuel industry for various jobbers in western Oregon while attending Oregon State University. Ralph joined Norm Poole Oil in 1979 and became President in 1990. He is currently the CEO of Campo & Poole Distributing and is very active in the community volunteering time with city and state organizations. Dennis was born and raised in the Idaho fuel business as an apprentice to his father Art Campo. He has spent his working adult life learning the business from the ground up serving time in every position of Campo Oil. Dennis now oversees all operations for Campo & Poole Distributing as COO. He has been strongly involved with his community serving time as Fire Chief and has also been a avid member of state and regional fuel marketer associations. After 10 years with the US Forest Service as a revered smokejumper, Ken rejoined the family business full-time in 1984. Since then Ken has sparked the growth of Poole Oil as sales and operations manager. He continues to spearhead sales and customer relations with Campo & Poole Distributing while still supporting local organizations such as the Ontario Rotary Club. 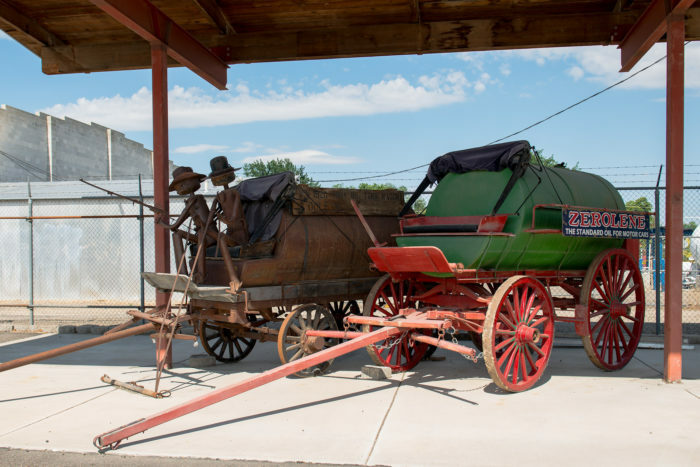 The Campo and Poole families have been providing fuel services to the Treasure Valley since the late 1940’s. Campo Oil was founded by Art Campo in 1949 and Poole Oil was founded by Norman Poole in 1961. The two companies jointly founded PC Energy in 2009 to become Eastern Oregon’s only bio diesel blending facility. In 2012, Campo Oil and Poole Oil merged to become Campo & Poole Distributing. Campo & Poole Distributing offers a full range of fuel products and services to customers from Burns & Baker City, Oregon to Pocatello, Idaho. Products include gasoline and diesel fuel, oil and lubricants and diesel exhaust fluid. Services include bulk fuel delivery, bio diesel blending, diesel exhaust fluid blending, cardlock services and fuel management. Our customers range from individuals requiring a few hundred gallons of heating fuel per year to large commercial customers purchasing thousands of gallons of fuel per week. The Company is owned and led by three, second-generation members of the Campo and Poole families. Ralph Poole joined the Company in 1979 and is currently the CEO. Dennis Campo was born and raised in the fuel industry and oversees all company operations. Ken Poole joined the Company in 1984 and oversees sales and marketing. The Company employs approximately 25 people at their Ontario and Fruitland locations. Campo & Poole Distributing is committed to providing our customers with quality products and services with exceptional customer service. Two third-generation members of the family have joined the business to insure this commitment continues for many years to come.